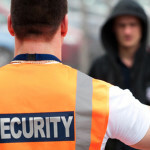 If you’re looking to up skill in the security industry – the crowd control skill set could be perfect for you! In 4 Training provides existing security license holders the ability to add the function crowd control upon successful completion of this course. The candidate should have a current Provide first aid certificate HLTAID003 and completed Certificate II in security operations CPP20212 or have a class 1 Qld security licence with unarmed function. The candidate is going to need good reading and writing skills. Preparation: These criteria are offered as a guidelines for candidates to participate in the crowd control skill set course. The final responsibility regarding the ability to participate in course rests with the each candidate. up to 4 x 10 hr days blended learning. (Depends on candidates specific requirements)This course is a competency-based program, so mere attendance is no guarantee of certification. In 4 Training deliver this course is face to face up to 4 x 10 hour days. The training and assessment is supported with self paced assessment work book. Breakdown of units for CPP20212 to meet Office of Fair trading licencing requirements for the class 1 security license, crowd control function. These two units are available as a pre-requisite to the Cash in Transit course. To meet Office of Fair trading licencing requirements for the class 1 security license, Cash in Transit function. Security Providers licence applications are administered by the Queensland Government Office of Fair Trading. The process for preparing and submitting the licence application will be covered on the course. Some suggested pathways to further your career in the security industry. The Security Providers Act 1993 requires individuals who hold the Crowd Controller licence function to undertake refresher training every three years or as directed by office of fair trading.All security providers are required to maintain a current First Aid certificate.